Here's the finished art for the Summer Plays On poster - it's set up to be a 3 color screenprint, should look awesome printed up!!! An open road theme with both artists hitch hiking down a long empty highway with a nice desert sunset. Since its a tour with 2 headliners I thought it could be cool to do a more tongue-in-cheek poster of a cow with two heads! 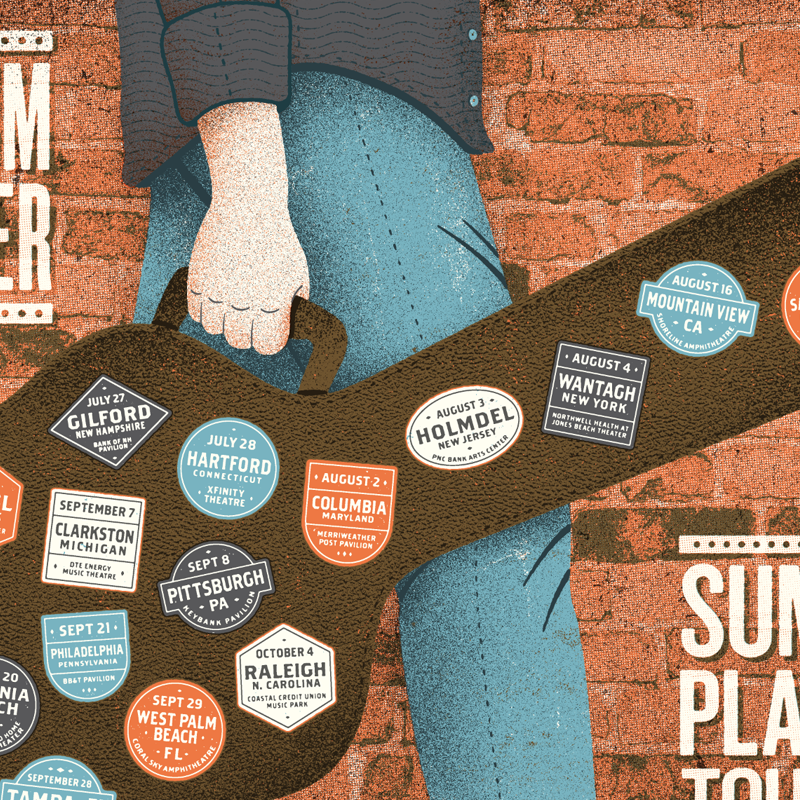 The guitar case would be covered in vintage inspired travel stickers - one for each date on the tour. 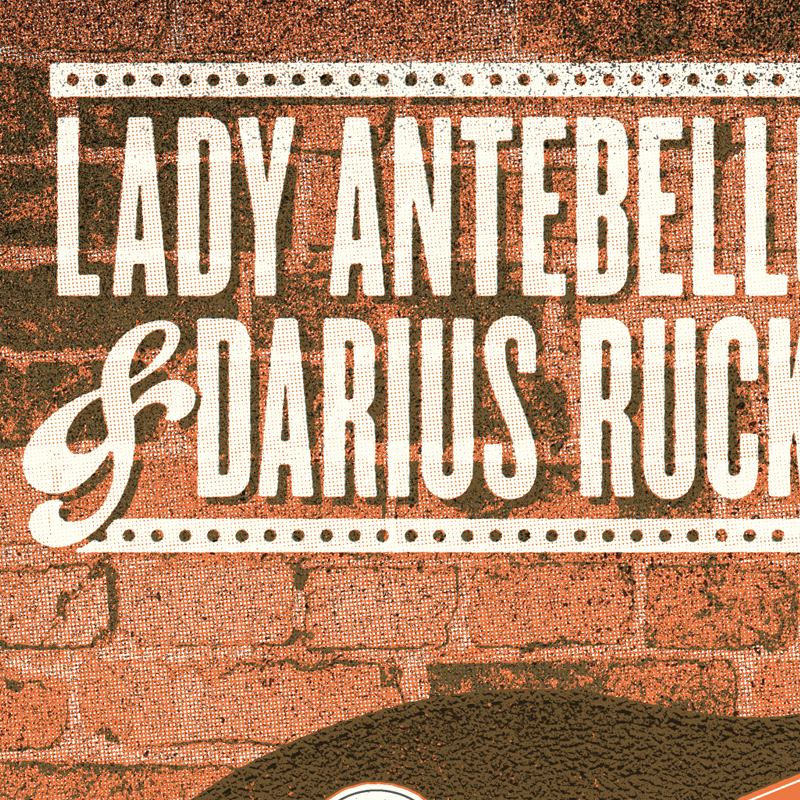 The typography could look like an old sign painted on the brick wall in the back.